You guys, when I was a kid, I did not love reading. I am ashamed to tell you that I didn’t finish one of the assigned books for high school or college. Not one. Not even ones I liked. Worst student ever. I was a school failure. I didn’t start loving reading until I was about 25 and I started picking up books that appealed to me. Authors like Jen Lancaster that made me laugh out loud in public. Authors like Jim Rohn and Zig Ziglar that made me think I could do something more. I like authors that make me feel things. I don’t want that for my kids though. I want them to pick up a love of reading earlier than 25. I wonder if loving reading is something innate or something they can learn? I wonder if I do better about reading in front of them, with them or basically making that a part of what we do, they’ll love it more? I can already see a couple of my kids gravitate toward the discipline of reading more easily than one. Boston, my little love. She wants to draw and create and make things. She’d rather sit with a blank sheet of paper and I want to foster that, too. Momming is the WORST sometimes. What’s the right thing? The girls’ new school is really pushing hard on academics so she needs to read but is that more important than drawing and being creative? I don’t know. Do you remember the BookIt program from when we were kids? You got futuristic glasses and free Personal Pan Pizzas from Pizza Hut for reading? You best believe I did that as a kid. This summer, the library here in Denver, did that kind of program and my girls all did it. One begrudgingly and the others happily. Here’s Kennedy with a series she’s loving right now. If you have a little girl, Ivy + Bean and Bad Kitty are house favorites. Do you have any tricks to helped your kids love reading? Do you think you can inspire your kids to want to read more? How about other books your little girls loved? There’s nothing I think can inspire and help us be better at this thing called life like a book can. They’re necessary. They’re like air and water. We need the mind’s of genius people who share their truth with us. I know my daughters can do better than I did on the reading and I really want that for them. Maybe I’ll go read a book on how to make that happen. My daughter is loving Heidi Heckelbeck right now. It’s a chapter book series. She also enjoys Critter Club (another chapter book series). She found one longer Amelia Bedelia but we haven’t had much luck finding more. We’ve listened to a lot of the Junie B. Jones series (kindergartner mostly, maybe two first graders) but haven’t ventured into reading them. Boston might like the audio books as she can “create” the pictures in her head as she listens. Our library has quite a few that we can check out and listen to using an app or our computer for free (and we don’t even have to go to the library – I often do it on the go, especially when we get stuck somewhere and I need to keep the little one busy). The Magic Treehouse series is very popular but we haven’t gotten into it quite as much. Alex read a LOT then went through a spell where she fought against all reading. She fell into it again when we flew on a plane this summer and couldn’t have the tray table down to color. A dip is natural – just keep encouraging. My husband was never a reader and didn’t find his love until his mid-twenties. Good luck! I have a little boy who really likes Boxcar children and Magic treehouse books. 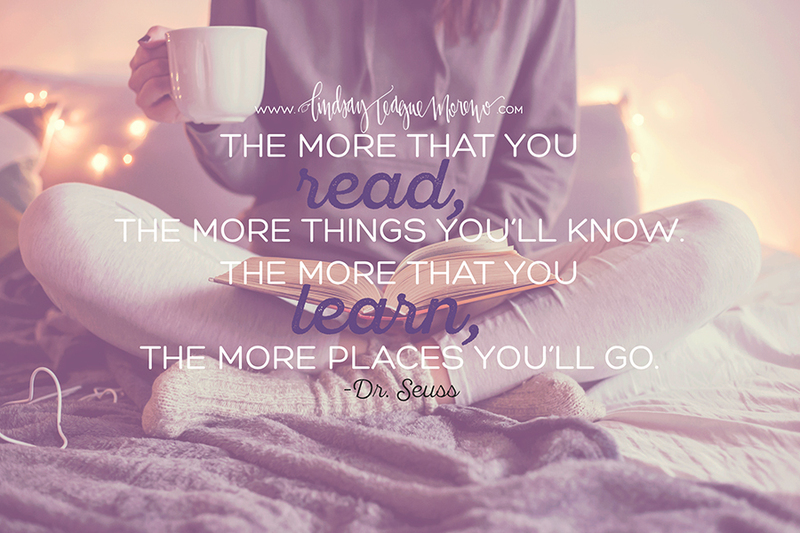 I have been reading books since I can remember and I read to my boys as babies to 8 and hoped they would fall in love with books like I did. This did not happen. I know for me as a child it was a place I could escape to and now to relax! As an elementary school librarian the best thing to do to foster reading is not push reading but instead make it a fun enjoyable thing for the girls. Read aloud to them, especially chapter books that are a little above their level so they hear and experience it together. Then have your kids see you reading books and talking about books with your husband. In my family we have a time where everyone just reads together in the evenings even if it is for 20 minutes. Finally, magazines for kids especially ones for the kids interests are a great way to foster that reading. They are short articles, have lots of pictures and are high interest to them. Some good ones are American Girl or Discovery Girl. Just some thoughts. Good for you for wanting the. To be readers even though you weren’t as a kid. Our family’s approach has been to reward reading with whatever our boys really want to do. We ‘require’ 20 minutes of reading reach day, and they earn half back in video game time for anything over and above that. For example, once their 20 minutes are read, 30 additional minutes of reading earns them 15 minutes of game time. The best is when they want to play a 2 player (or more) game, they actually encourage each other to read so they can play video games together. This includes kindles, etc. It’s really been an incredible system! great idea. i like that a lot. Junie B. Jones was our favorite. Magic Tree House is great too. My 10 year old is severely dyslexic so we do audio books where she can see the words as she goes. Amazon also has a feature where it gives clues to the bigger vocabulary words as you read along. I loved Goosebumps or Fear Street books when I was a little girl. The Raibow Magic Fairies are sweet, but the Goddess Girls rock. We also started reading classics like: Peter Pan, The Secret Garden and Anne of Green Gables. Hi! My mom would read us our homework assignments while we did the dishes, or rubbed her feet. Mom and dad were both readers. Make it a family project. Everyone reads one paragraph. Start small. It’s fun to read. I used to love reading Baby Sitters Club books and the Ramona books as a kid. (And Judy Blume – like Fudge). My husband says his favorites as a kid were those Choose Your Own Advenrure books. So I think it’s just a matter of finding books that they are interested in. But you’re definitely off to a good start! And I love Jen Lancaster too! Agree with the librarian – read every night (Funny story: It’s usually my husband who reads every night. When our youngest was about 4, he had to go out of town. She looked at me and said, “Who will read to us?” I said, “Well, I can do it if you want.” She said (incredulously), “YOU can READ?!?!”). My boys read Geronimo Stilton and Magic Treehouse with Dad. My girls like Junie B. Jones, Boxcar Children, and all Dr. Seuss. Honestly, Geronimo is hilarious – even my staid husband laughs OUT LOUD when he reads it. My girls have also read the Ivy+Bean series. And my 7yo is reading Judy Moody right now (also for the library program). As mentioned above, the audio books might be good for Boston. She could do artwork while listening (reading). As a busy adult with very little time to read, I find audio books to be the perfect solution. Another idea that was recommended to me was also mentioned above: Read aloud to your kids, especially chapter books that are a little above their level so they hear and experience it together. A friend of mine has read the entire Harry Potter Series out loud to her kids—-TWICE!!! This way, all your girls are “reading” it, and it may generate conversation when it’s not being read. Now, you just have to find books that you’d want to read aloud. I know they’re young, even I’ve read several really good young adult books, so if you need suggestions…..